This book provides a comprehensive introduction to the field of geochemistry. 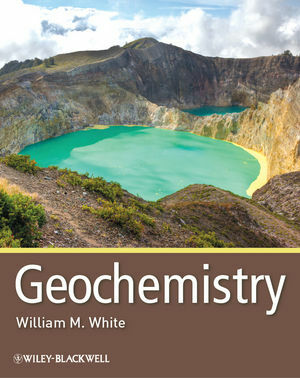 The book first lays out the ‘geochemical toolbox’: the basic principles and techniques of modern geochemistry, beginning with a review of thermodynamics and kinetics as they apply to the Earth and its environs. These basic concepts are then applied to understanding processes in aqueous systems and the behavior of trace elements in magmatic systems. Subsequent chapters introduce radiogenic and stable isotope geochemistry and illustrate their application to such diverse topics as determining geologic time, ancient climates, and the diets of prehistoric peoples. The focus then broadens to the formation of the solar system, the Earth, and the elements themselves. Then the composition of the Earth itself becomes the topic, examining the composition of the core, the mantle, and the crust and exploring how this structure originated. A final chapter covers organic chemistry, including the origin of fossil fuels and the carbon cycle’s role in controlling Earth’s climate, both in the geologic past and the rapidly changing present. Geochemistry is essential reading for all earth science students, as well as for researchers and applied scientists who require an introduction to the essential theory of geochemistry, and a survey of its applications in the earth and environmental sciences.